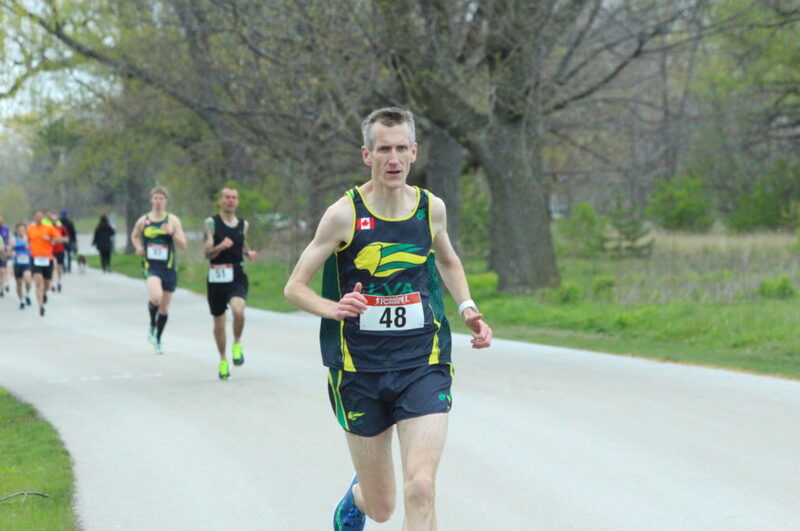 On a cool morning Michael Gill and Sean Patterson went to Hamilton for the Subaru of Hamilton & Niagara Running Series - Confederation Park 5KM. The small field didnt appear to have any familiar faces but today was the first road race of the season for both athletes. Mike and Sean were at the front from the beginning with one other runner until he fell off the pace before reaching the 2KM point. The race had become a solo effort for both Mike and Sean as a gap opened up between them leaving each one battling the clock for a good time on their own. Mike and Sean pulling away from the field in first and third position as they pass 1500m. Mike approached 4KM looking strong and ready to take on the last 1000m. 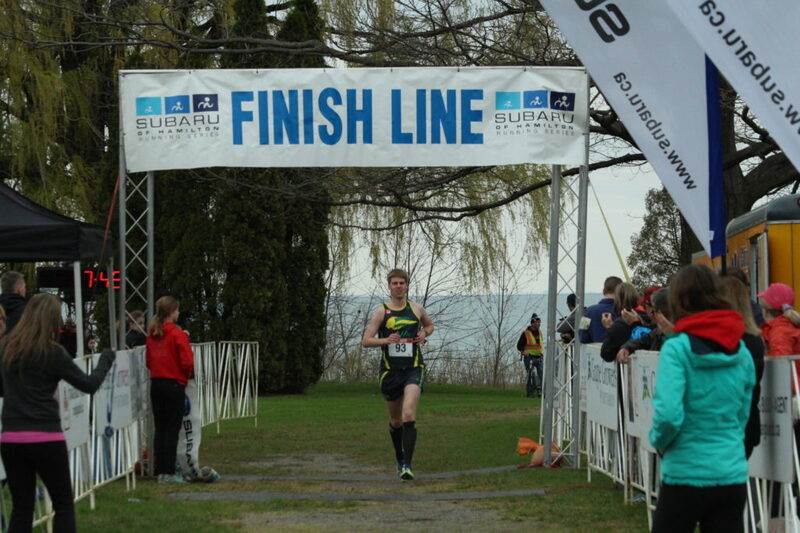 Sean, worked hard from the start to keep the gap between him and Mike as small as possible and to run a decent time. Nearing 4KM Sean was still fighting and didnt let the lack of competition give him a reason to take it easy and coast into the finish. Mike and Sean both passed through the 4KM marker with no other runners in sight behind them. They both pushed hard in the final 1KM trying for a good time despite it being a solo effort almost the entire way on the fast and flat course. Mike came into the finish chute breaking the tape to take First Place Overall in a time of 16:11 then moments later Sean earned Second Place Overall in 17:47. Official Confederation Park 5KM Results are below. 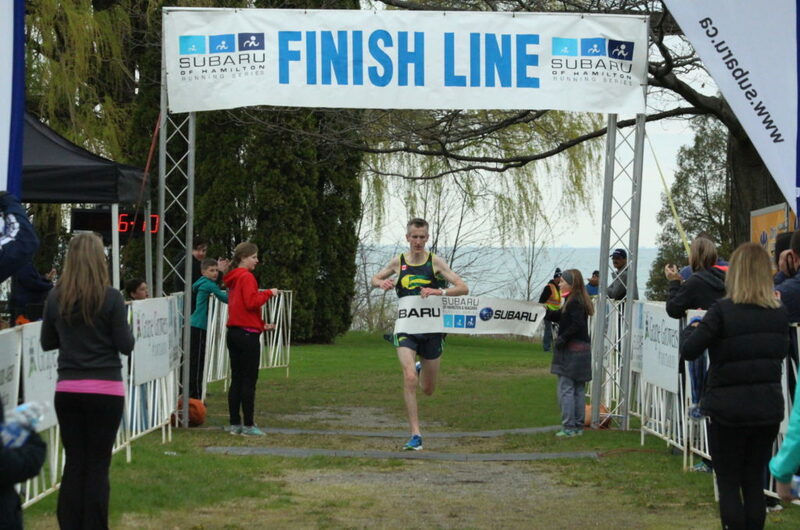 Michael Gill is the first runner to cross the Finish line at the Confederation Park 5KM. Sign up for the RUNNING ROAR! Sign up and subscribe to Lions Valley Athletics newsletter the RUNNING ROAR to stay updated with LVA event, results, volunteering and more. LVA Members are automatically signed up with registration.